Small and subtle design techniques can create a fantastic overall design, much like the slow tapered effect that the base of the tabletop on the Urban Dining Table has. The unique oval shape of the Urban Dining Table is mimicked in the oval pedestal base. 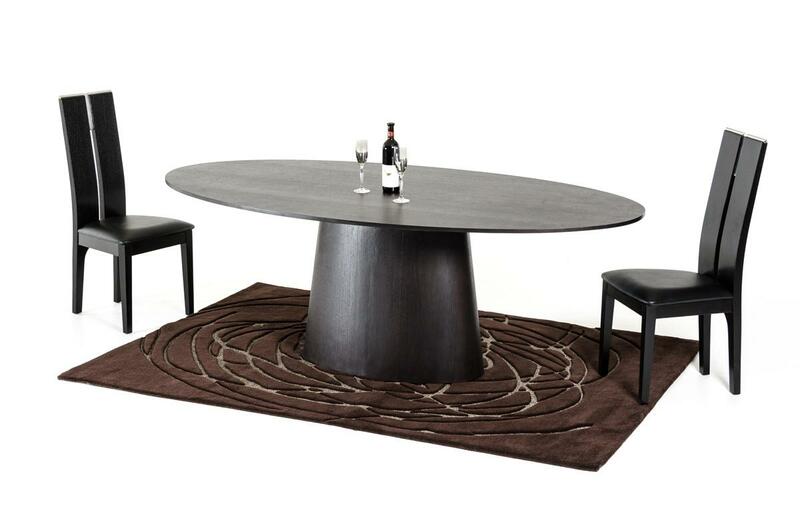 A warm wenge veneer finish covers both the solid oak tabletop and the base of the table to create a unified composition that primarily puts focus on the interesting design of the Urban Dining Set. Made with Top Quality Solid Hardwoods.